For most people, the Chelsea chop is done at the same time as the Chelsea Flower Show, from where it got its name. 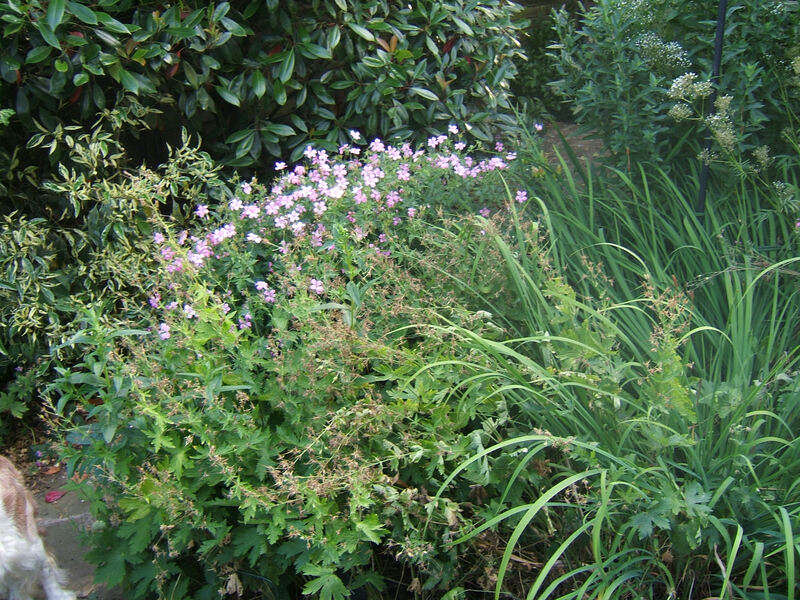 It is the cutting pack of perennials which are getting a little untidy to keep them looking good for the rest of the year. I am usually a little late doing the chop since my garden opening is only a couple of weeks after Chelsea and there really isn’t enough time for the plants to grow back and look good. So, usually I do a chop just after the opening. However this year everything is so late that only the pratense geraniums had flowered by the time of the garden opening, so I decide to wait a little longer. Now, a month later, it is time for the chop. I had finally got fed up with the untidiness. 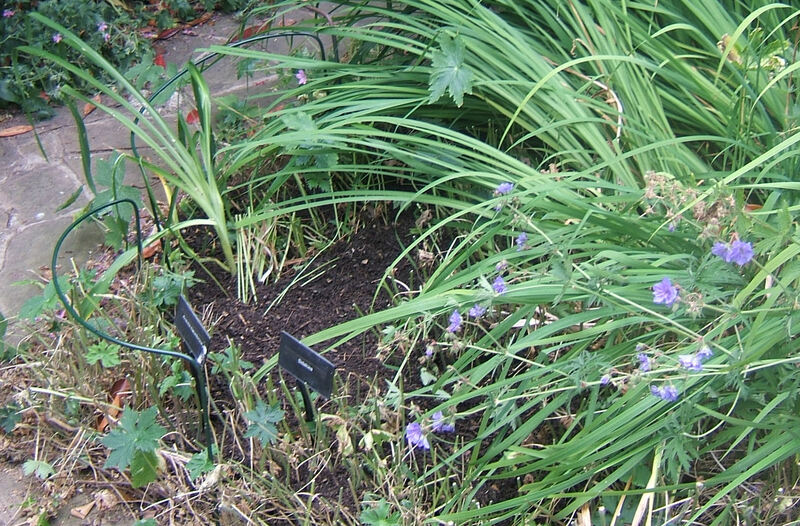 My main concern is that the current dry weather will mean that the plants will take a while to recover – still the geraniums were looking so untidy, there really was no option. 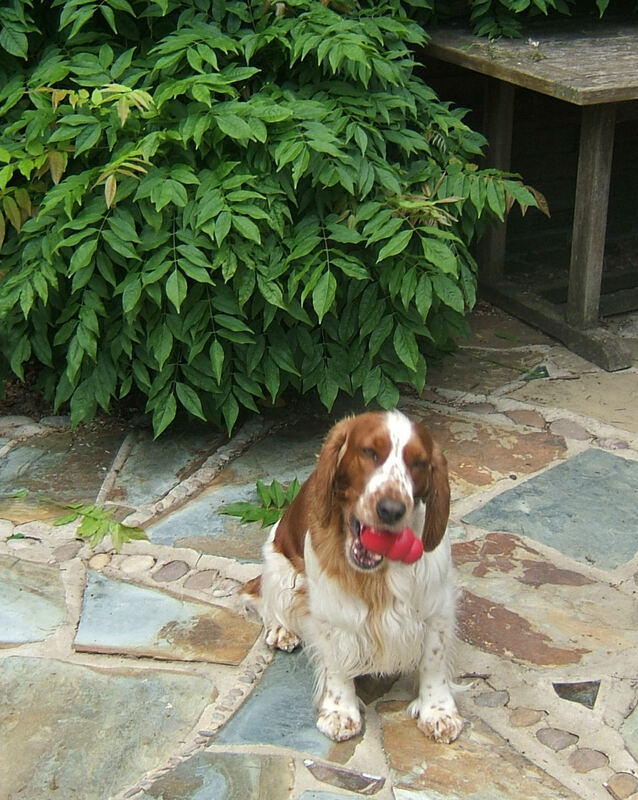 When I started clearing, I found one of our kongs under the geraniums. They are usually confined to the house, but obviously this time one had managed to get left outside. Ruby was over the moon to have her kong back. We had a few retrieves and then I managed to persuade her that it should stay indoors for a while at least. Just as an indication of how late things are this year, I noticed today that a dierama is just coming into bud. These lovely blooms have often been out for the NGS opening and this year it looks as if we will have to wait at least another week to enjoy the beauty of these pendulous flowers. 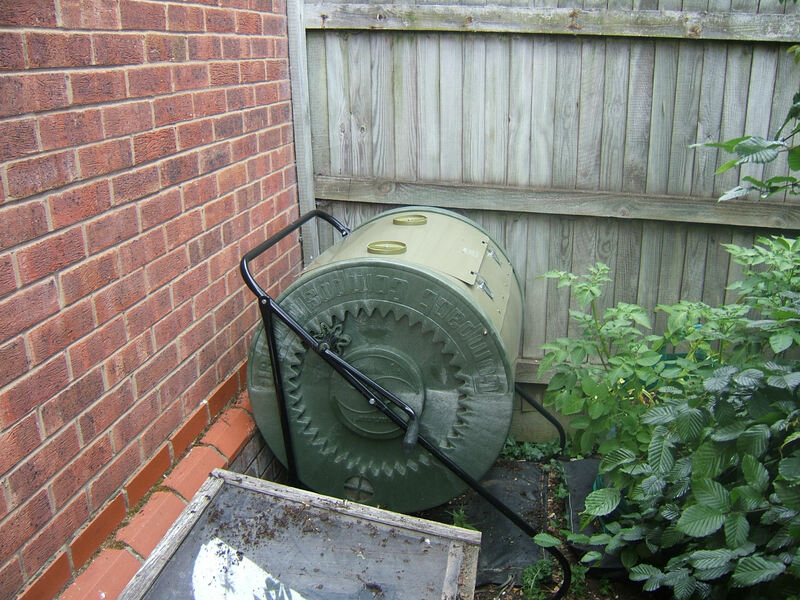 As a direct result of the chop, I decided that I really should get on and empty my compost bin. It was a long, hard job as I had to sift the contents to remove the larger woody bits that had not yet composted down sufficiently. However I managed to get a huge amount of compost out of it and just four buckets of woody material. The compost went straight onto my beds. The extra mulch will help retain moisture as and when we actually get some rain and it will give the worms some more material to drag down into the soil and continue to improve it. The buckets of woody material are now back in the bin along with the result of my chop. Given the amount of heat that was coming out of my storage bags after just one day, I should soon have another lot of compost to return to the soil – just so long as I remember to turn it daily as the instructions say.